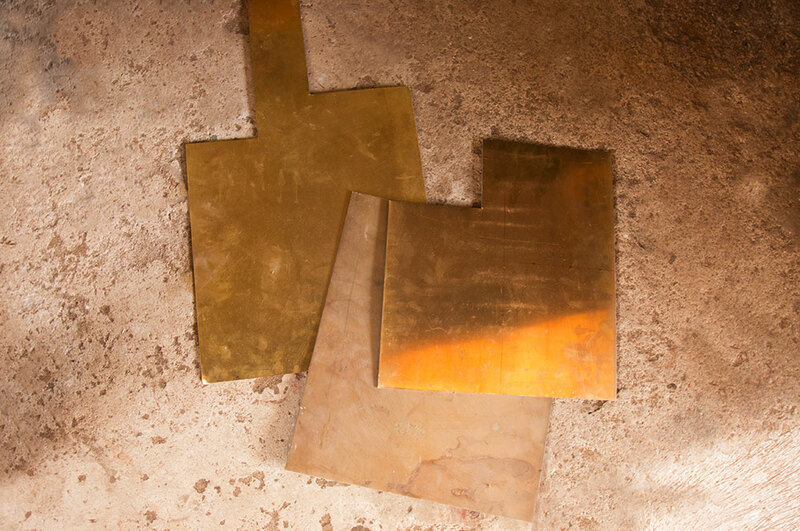 • Brass Craft Sheet Metal - The basic raw material for the Manichithrathazhu locks. 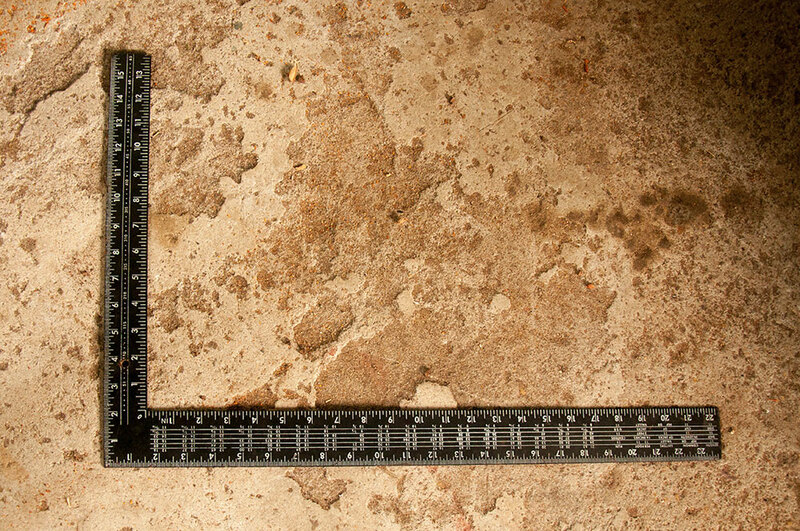 • Measuring Scale - L-shaped scale to measure and to mark on the sheet as per the requirement. 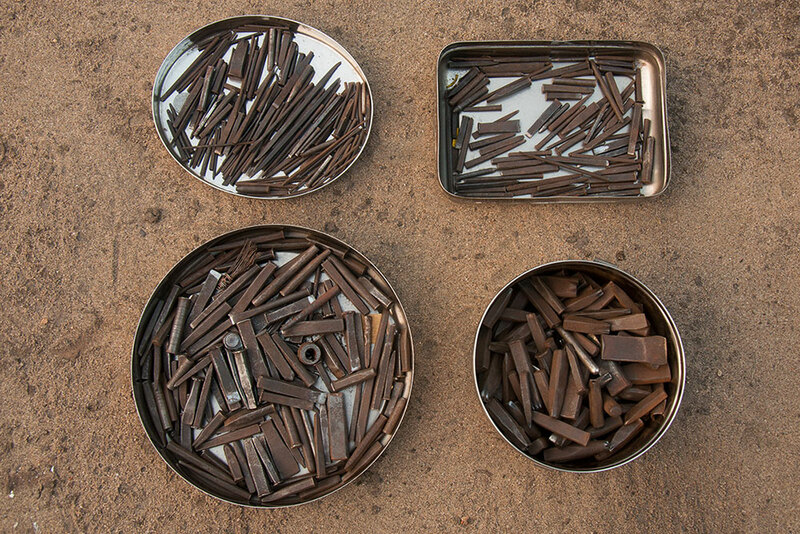 • Metal Holders - To hold the Ceramic Graphite Crucibles. 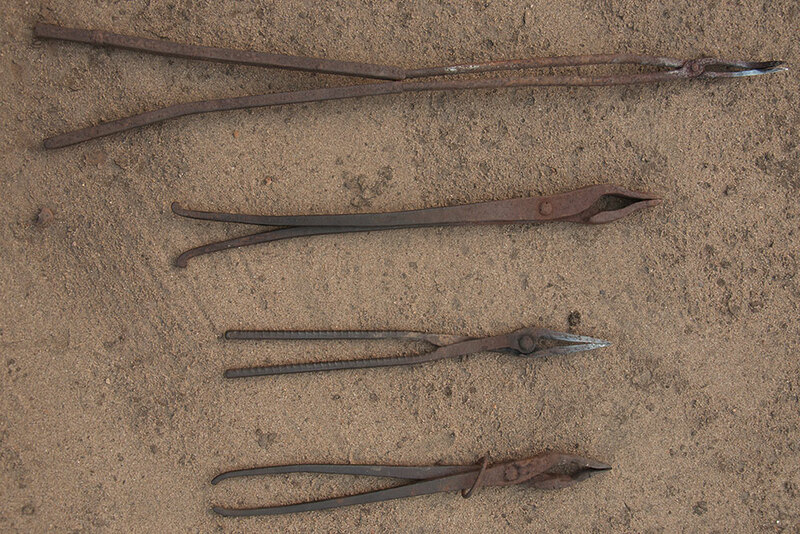 • Chisels - Variety of chisels used to engrave the metal. • Hammer - Used to strike the Chisel to carve the metal. • Customized Tools - Modified tools to suit a specific task. • Files - To smoothen the sharp edges made by cutter. • Crucibles - Made of ceramic graphite, which is used as a container to melt the metal. 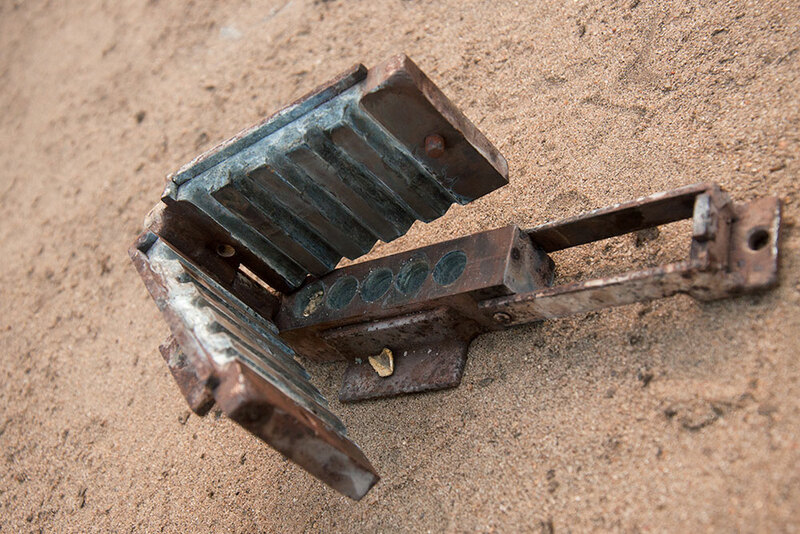 • Scrap Metal - A waste pieces of Brass for Casting and Moulding. • Furnace - Space for melting scrap pieces of Brass. • Charcoal - Made of coconut shell to get intense temperature. • Traditional Wind Blower - Used for blowing an air to lite fire. 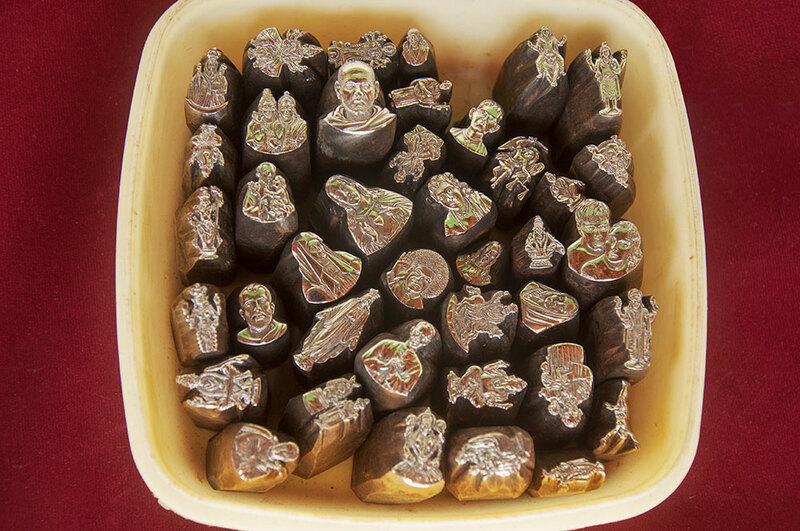 • Metal Moulds - Moulds are basically used for metal casting. • Ladle - A wooden handed crucible ladle is used to transfer the molten metal to the mould. • Polishing compound - Used to get a shining surface. 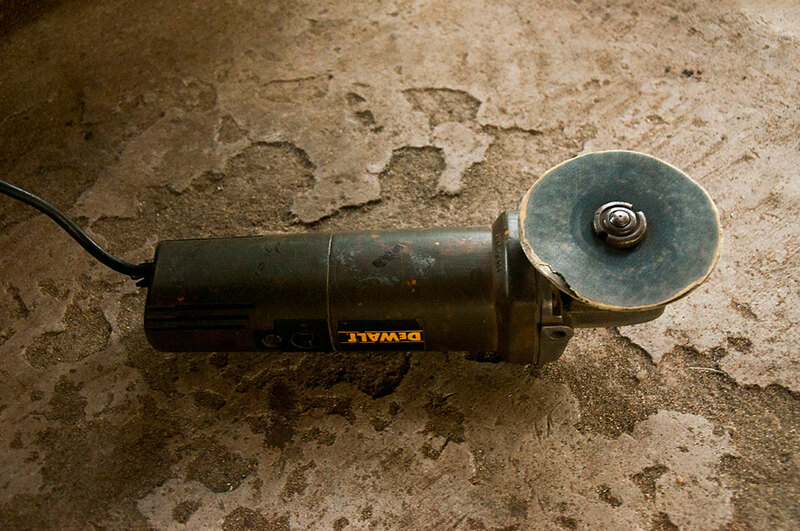 • Table Buffing Machine - Machine used to give finishing and glossy effect to the metal. 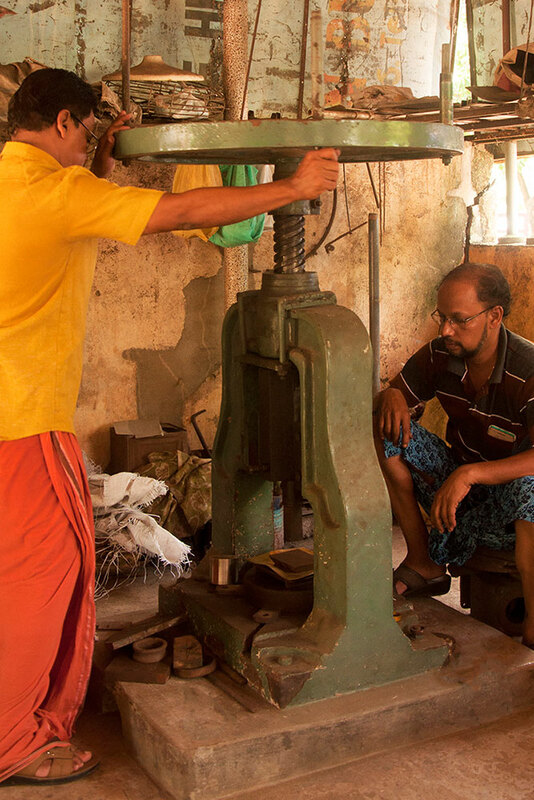 • Pressing Machine - Used to engrave the metal sheet to get a preferred shape. • Metal Sheet Cutter - It is used to cut the metal sheet according to the designs. • Customized Impression Tools - These modified tools are used to get the impression on the metal sheet.